Painkiller: Hell and Damnation studio The Farm 51 is working on an original shooter that it says will blur the lines between single and multiplayer action. Get Even, the new project in the works at The Farm 51, was actually unveiled back on December 13, but it took until today for most of the non-Polish-speaking world to notice. The press release announcing the game remains exclusively in its native tongue, but the magic of Google Translate reveals it as a shooter that makes a lot of big promises. The Farm 51 says that the "true photorealism" of Get Even looks different than most other shooters on the market thanks to 3D scans of real locations and characters. The technology at work is being developed "in extensive cooperation with research institutions and external specialists," and Get Even will represent its first-ever use in a videogame. The game will also "remove the artificial boundary between single and multiplayer modes" by allowing gamers to drop into other players' games, taking on roles normally controlled by the AI. The concept is more than a little reminiscent of The Crossing, a "cross-play" shooter announced by Arkane Studios in 2007. 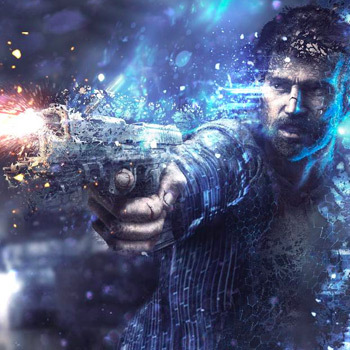 That game also promised to make parts of the single-player aspect dependent upon multi-player action, but it was canceled in 2009 so Arkane could participate in the development of Steven Spielberg's LMNO project, which was itself canceled in 2010. The Farm 51 took to Facebook to respond to the recent surge of interest in the game, writing (in non-translated English this time), "Good news spread fast! We are happy to inform that, even though we haven't release any global Get Even announcement yet, there is already buzz around the game on international sites!" The studio promised more information about Get Even, including screens, a brief trailer and "crucial information about the plot and narrative assumptions," in January.